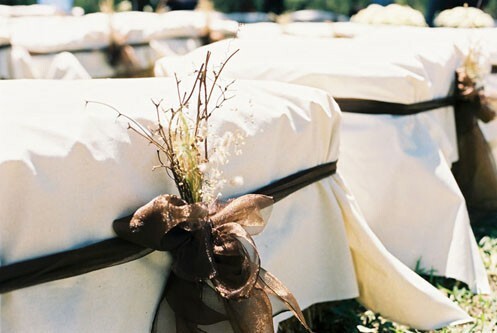 Guess what’s the latest craze in rustic wedding ceremony seating is? HAY! 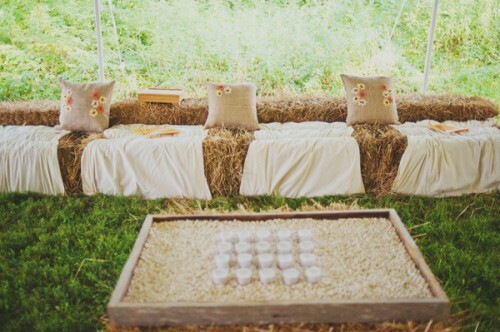 Hay used for seating can be stylish and fun. 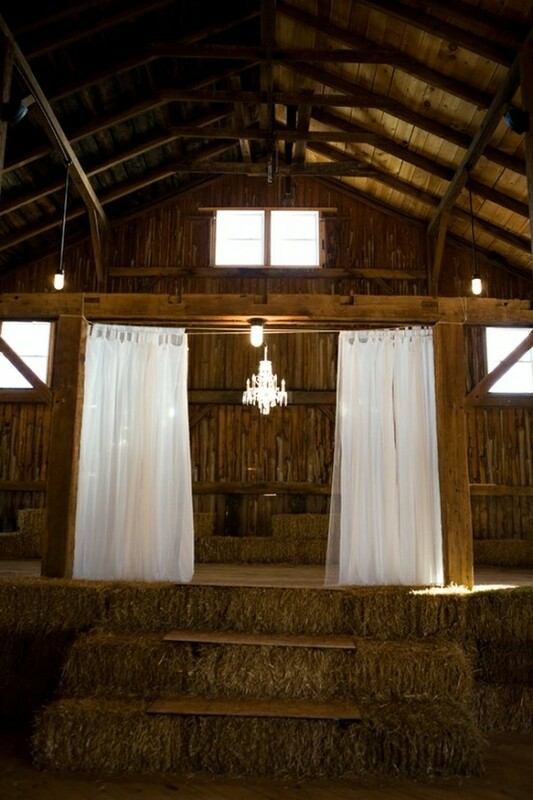 Perfect decor element for a rustic chic wedding. What more could one ask? 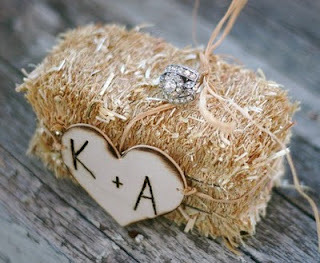 If you're planning a low key, DIY wedding on a budget, I suggest hay bales as a possible option for seating. 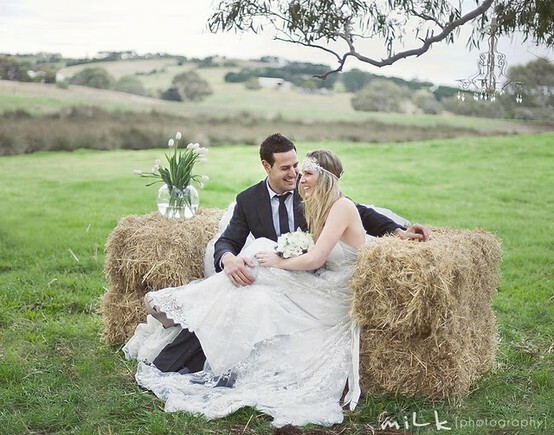 Hay bales are great choice because they’re a good height for seating and you can easily find them local to source them, and you can accessorize them up in all kinds of ways. 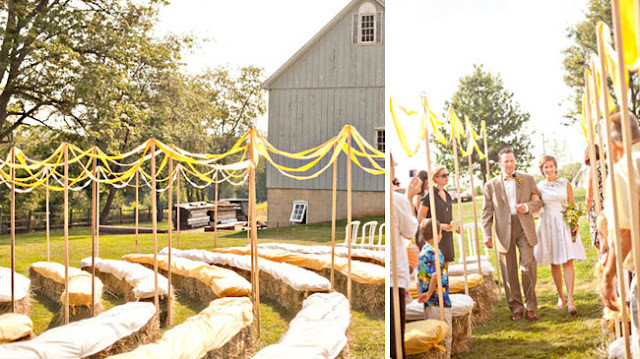 In finding hay bales in Louisville (or in Kentucky), I would recommend finding a local stables or farm and finding out whether you could borrow or rent the hay bales rather than buy them. You should be able to negotiate a reasonable price or even just to leave a deposit until the bales are returned. As simple as it gets, hay may be a bit uncomfortable for some bums. So have them simply draped with material or throws to provide a more cushioned seat. Quilts, blankets, picnic rugs, and cushions are all great for accessorizing your hay bale seating. If you are looking for vintage quilts or old blankets, make sure you check out sales, charity stores and ask friends and family. Below are some great examples of hay bale seating- as well as Hay decor! Be inspired! Need risers? Hay bails and a few planks of wood should fix that.